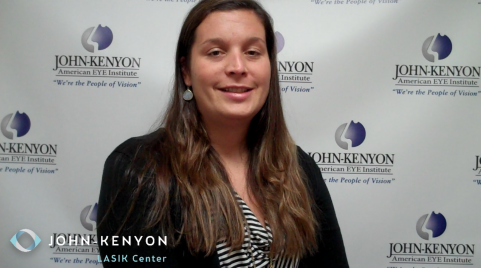 John-Kenyon offers KAMRA Inlay to eligible patients with presbyopia. 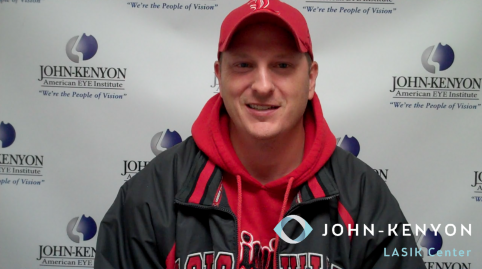 Presbyopia is the natural loss of near vision and the progression is dependent on the person. 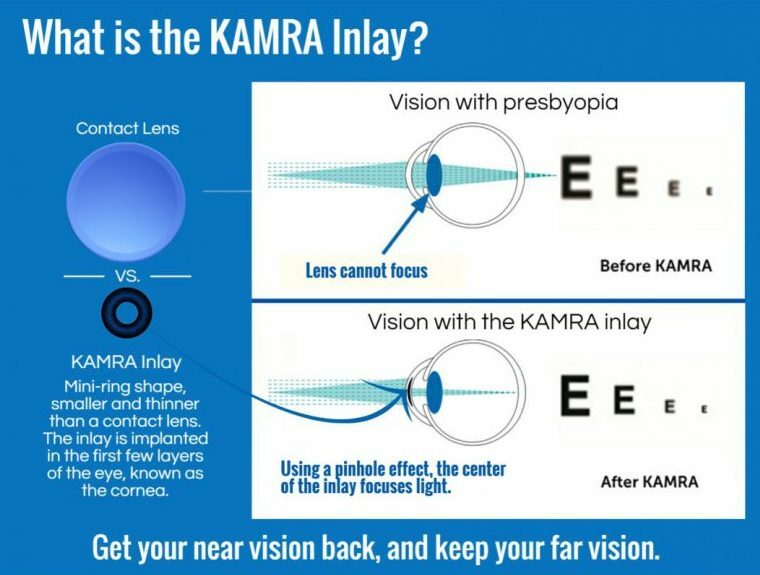 The KAMRA Inlay is ideal for patients who want to get rid of reading glasses or bifocals for their daily life. The KAMRA Inlay sits in the first few layers of the eye, the cornea. The inlay is a mini-ring with an opening that allows only focused light to enter your eye. 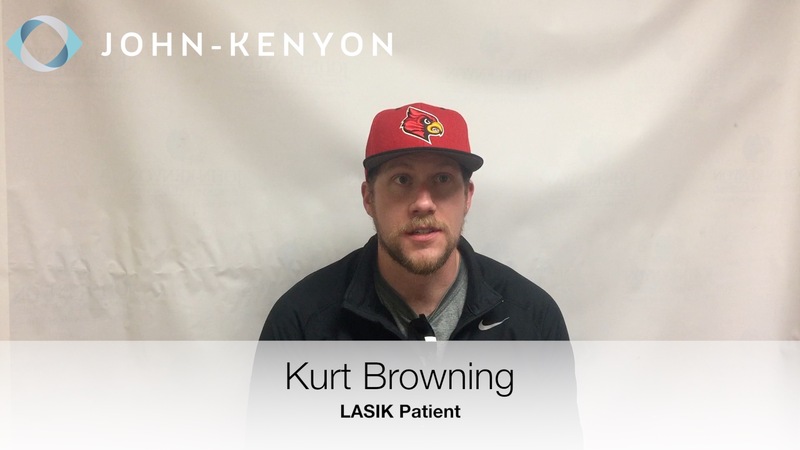 In the procedure, an inlay is placed in one of your eyes, which allows you to see up close, while maintaining your distance vision in both eyes. Together the eyes allow you to see near to far. The effect is unlike monovision, which corrects one eye for near and the other eye for distance.